Yes, the October 3 North America release date for the 3DS version of Nintendo's all-star fighting franchise is just around the corner. But that doesn't mean you can't get excited for the home console version. Here's what the previously announced game bundle looks like on Amazon. Note: Headline changed for clarification. 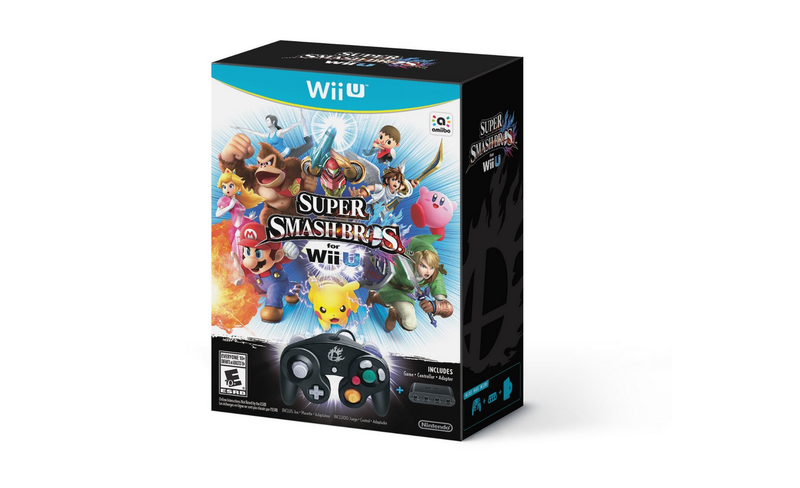 There's been no date announced for Super Smash Bros. on Wii U but the listing for the game+controller+adapter bundle on Amazon's U.S. site has a 12/31/2014 date, which is almost certainly a placeholder. You also get a look at what the Amiibo branding will look like, which lets folks know that this game will work with Nintendo's data-storing action figures. All we need now is that release date. Whenever you're ready, Mr. Iwata.